For the moment, anyway. These lists get updated hourly, I’m told. 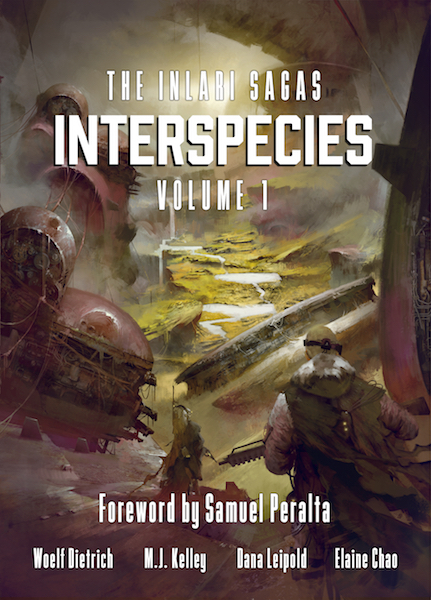 I woke this morning with a message that Interspecies reached the top 10 in both “Science Fiction Anthologies” and “Science Fiction Anthologies & Short Stories.” Then Someone told me we were in the top five of the “Hot New Releases” on Amazon. I’ve taken the first lines of some of the reviews we received. We’re sitting at twenty reviews so far. You can go check them out here. I’ve not much left to say except, thank you for supporting us, for supporting our stories. For supporting our painstakingly built shared universe. Knowing our readers are loving it causes such a great swell of emotion, it’s difficult to focus. I should stop snorting pixie dust. Thanks! We actually stayed there for over two weeks which is awesome. The print version is coming out soon, so hopefully we’ll see some activity again. Two weeks!!! That’s awesome. And well deserved!